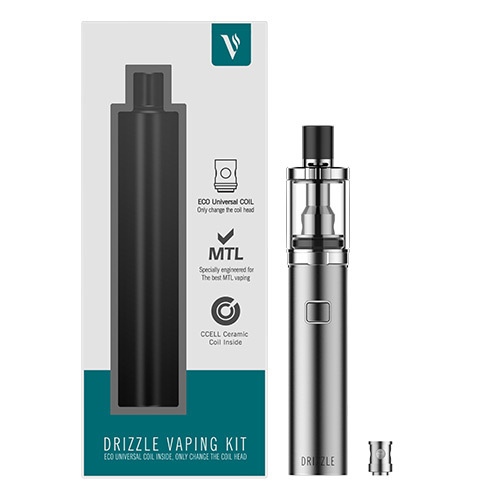 The Vaporesso Drizzle kit is a handy compact vape pen with long lasting 1000 mAh battery and a leak proof, top fill tank for easy filling. 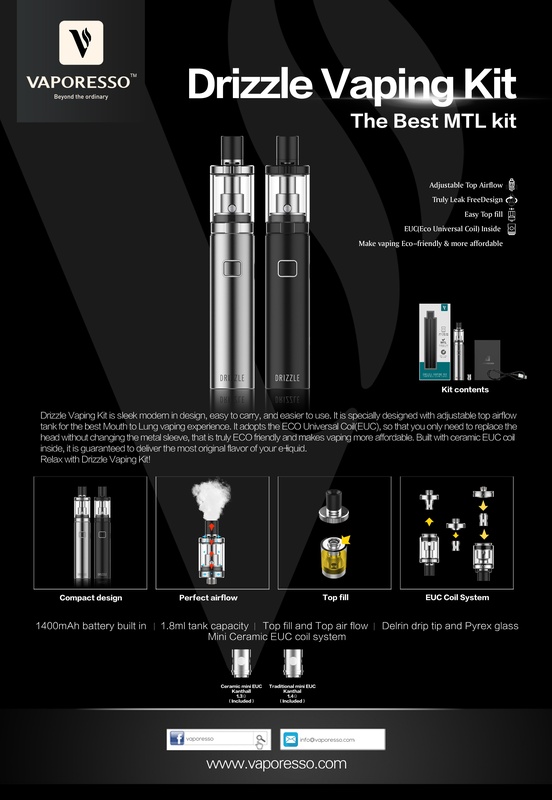 The device can be classed as a pen style set up, which will be appealing to someone fresh into the vaping scene, the simplicity of design and user friendly interface will be appreciated and effortlessly used in no time. 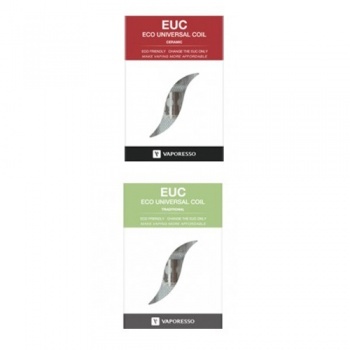 The tank supports the revolutionary EUC coils that deliver amazing flavour and have been designed specifically to be more economical and affordable to vapers, The tank of the Vaporesso Drizzle holds 1.8ml of juice making it a TPD compliant product, plus the added bonus of a unique top airflow system and most important of all, it's leak free. 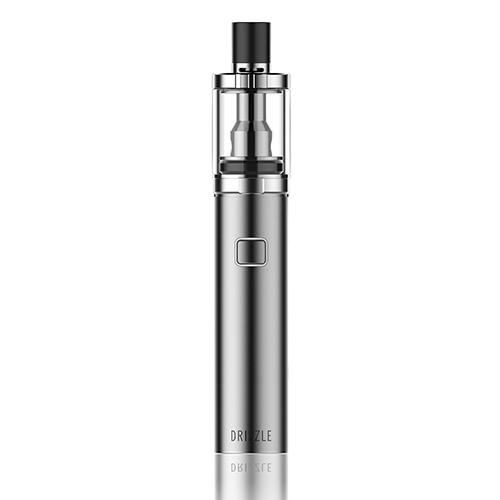 The contemporary design with the combination of device and tank will without doubt be a massive hit for all beginner level and mouth to lung vapers alike. Nice product - compact in the hand but found the mouth tip too short for my liking. Gives lots of vapour and flavour - worth buying if not bothered about the mouth tip. It seems to be increasingly difficult to find a mouth to lung device these days, so I was pleased to find this one online.The delivery was faultless and extremely fast.The device itself is so simple to use and I couldn't be more pleased with it.I will be buying another one so I have one spare and will happily recommend this product to friends. Great taste, build quality, portable! Love it, does as good of a job as my aspire nautilus X! Great MTL hits with lots of flavour! Great and swift service from vapourmate! Drizzle it, a little bit. Thank you very much Robert. Very glad you are happy with the Drizzle. I think its the best MTL out there. This is the smallest 1000mah pen you can get. 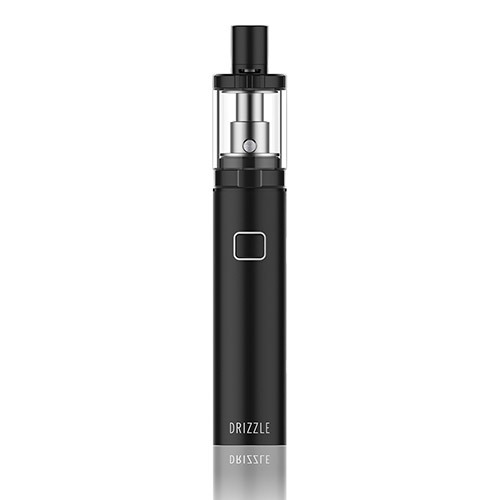 Its a bit powerful for the size so make sure you get a lower nicotine strength.